Boil the bananas . When the colour of the banana skin becomes black remove the skin and grate it in grater. 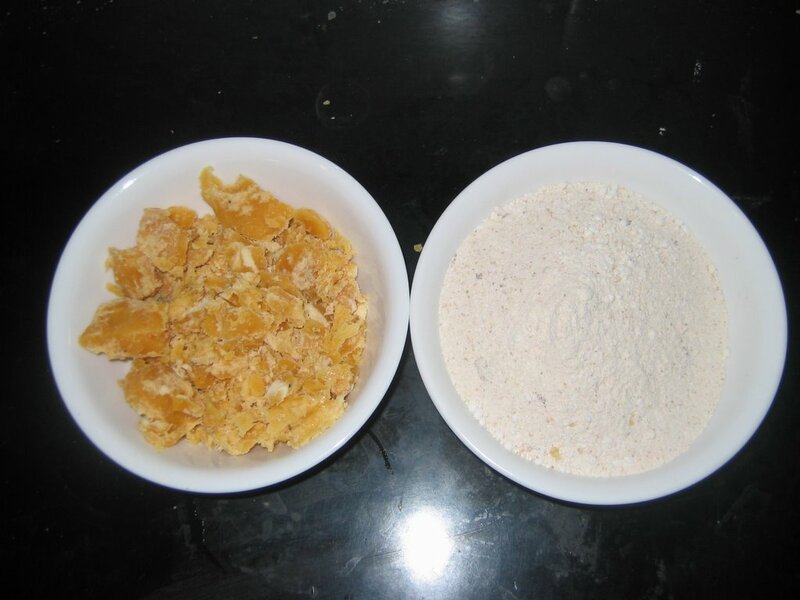 Mix the coconut and chillies in a blender (only one round). Heat a pan with oil add mustard seeds, urad dhal and curry leaves. When the mustard splutters add the grated banana and coconut. Mix it well. 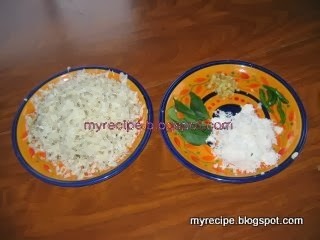 This is a side dish for sambar rice or rasam rice. We celebrate Thiruvathirai the birthday of Lord Shiva.It is also called Arudra Darshanam.This is an important festival for young girls. Early morning we take bath and go to the Shiva temple and worship lord Shiva.Prepare Kali and Talakam do puja with naivedyam and arathi..
Keralites celebrate with dance and feast. Soak the rice for an hour. 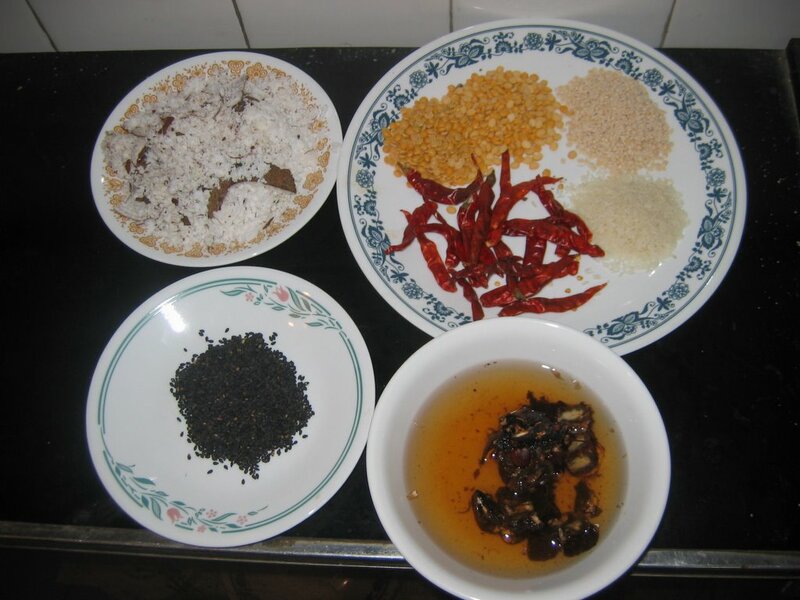 Dry it by spreading them on a white cloth and roast the rice in a simmer flame until it turns light red colour. Powder it into coarsely when it cools down . Heat a pan with water, add powdered jaggery. When it boils add the rice powder . 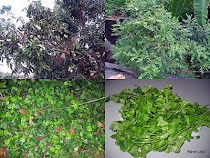 Fry the above ingredients with oil till they become red in colour. Roast the sesame seeds with out oil. Grind all together into a thick paste. Cut the vegetables into big pieces. Soak the tamarind in water and remove the tamarind juice. Boil the vegetables with tamarind water, turmeric powder and salt. 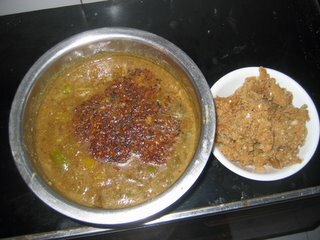 When the vegetables are cooked add the ground paste , jaggery and mix well. Heat a pan with oil add mustard seeds, urad dhal and when it turns red add to the kozhambu. This kozhambu is very tasty and enjoy this with kali . This kozhambu goes with rice and pappads.